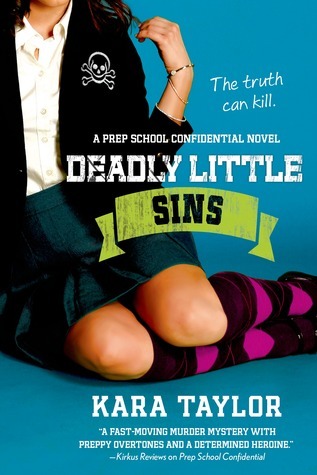 Goodreads Synopsis: In Kara Taylor's Deadly Little Sins, Anne Dowling investigates a mysterious disappearance in this fast-paced, twisty conclusion to the Prep School Confidential series. There's no doubt that The Prep School Confidential series has been a favorite of mine ever since reading the first book. It's full of suspense and ease yet it has it's own take on mysteries, I loved every book in the series and I'm hoping for another! The covers may be off putting for guy readers, but I didn't mind and the story will blow you away. Deadly Little Sins was a great end to an amazing series. Anne was amazing as ever, the writing suspenseful and so easy to read, and I loved every single thing about the book! One thing that I liked that Kara did with the plot was layering it over. Every single thing that happened from the first book (Isabella, Anthony) lead to the next book and so on. It was so smart how it all played out in Deadly Little Sins. Anne is on the verge of being expelled from Wheatly, but she does get back in. But now, she has all eyes on her and she can't stop from finding out what happened to her favorite teacher, Ms. C. Suspense on top of suspense I loved it! I love Anne, she has to be one of my favorite characters I read this year. She knows how to find the mystery and piece together all the clues, every reader will love her. Another thing I liked about Deadly Little Sins was how every character helped move everything. 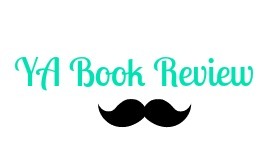 You have Anthony wanting Anne's forgiveness, Dennis the police officer helping Anne, Ms. C, and all the people she has to meet and help her uncover the mystery of Ms. C. LOVED IT! Deadly Little Sins was such an amazing end to one of the most amazing series I ever read. It's fresh and unique and I love Kara Taylor's take on YA mysteries. The whole series was full of fun and action. Everything Anne uncovers, turns up the suspense and thrill, I recommend this series to anyone!! Thanks for the review copy! I haven't read this series but it looks really good and of course I love a kickass character and suspenseful books! Great review Patrick! So, I just skimmed through this review, to see if it was worth giving it a try. I bought the first book, a while ago, and I think I'm going to finally crack it open. I'm excited. I haven't seen many reviews, and since you loved the series, I'm taking your word for it.